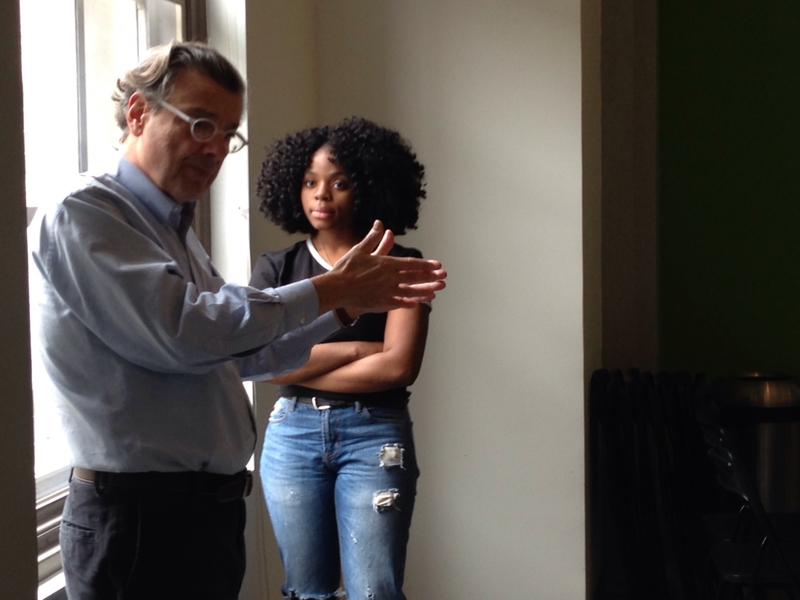 Michael Mercanti, photo director for the Inquirer and Daily News, taught photojournalism basics to the students. Starting with cave drawings, Mercanti explained how visuals have always been an important way to convey information and tell stories. “People like people photos,” he said, encouraging students to include a human element in the photos. Photos should visually grab readers, he said, as well as creative in getting a message across. The best photo is not always straightforward. 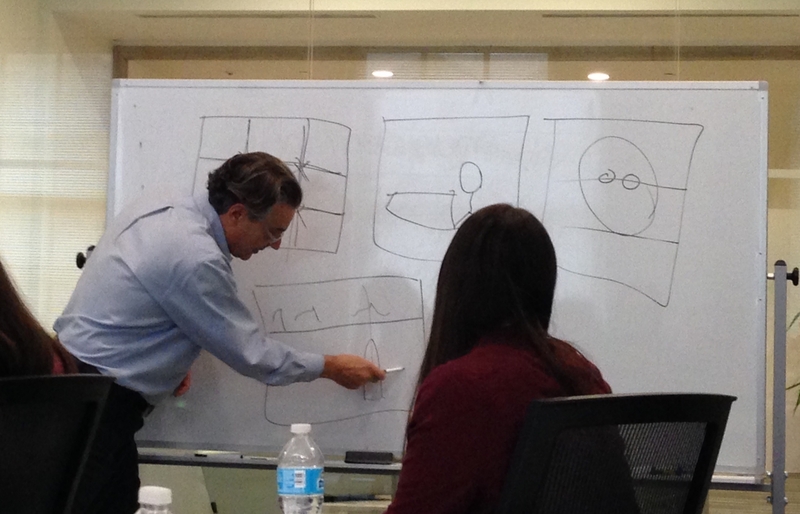 The visual is there to work with the reporting, work with the story, to get as many eyes on the story as possible. The basic rules of photography are true no matter the equipment, Mercanti said, and students can use their phones to take strong photos. 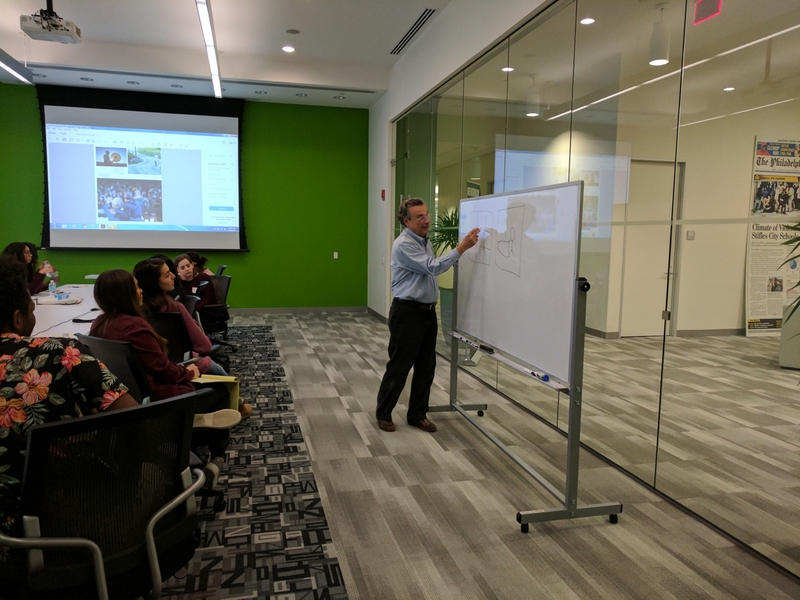 Michael Mercanti explaining the Rule of Thirds. Mercanti explained the Rule of Thirds, teaching students the subject should be off-center to be most interesting. Light is extremely important, he said, bringing Syreeta to the window to show how light and shadow can make a dramatic difference. There are limitations with using phones, Mercanti said, and phones are best for capturing snapshots from just a couple feet away from a subject. Mercanti also talked about ethics in photojournalism, discussing bias in photos by showing photos from political events, how graphic photos and stories are handled, and the importance of honesty in an age of Photoshop. The one thing you want to do is always tell the truth. You don’t want to hide anything, you don’t want to fake anything. That’s the most important thing, is people’s trust. … We always tell the truth.